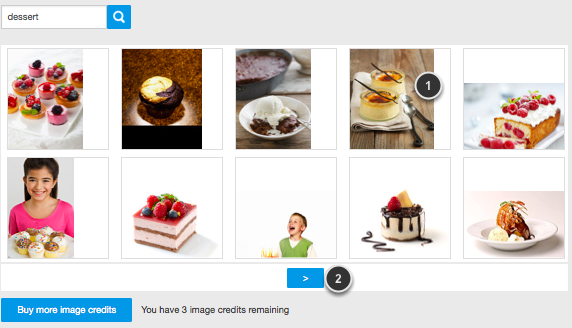 The editor includes a stock image library with a large collection of high-quality images that you can use on your site. Stock images are licensed only for use on your site. 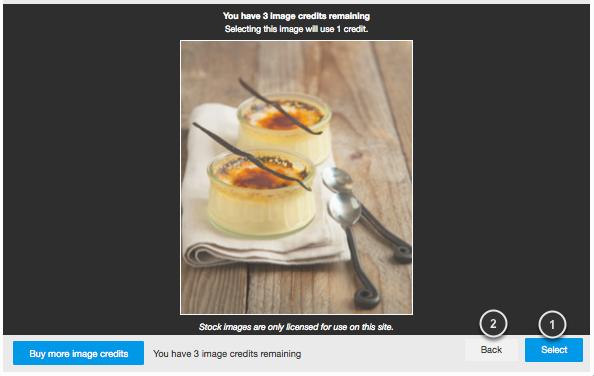 Downloading, distributing or using stock images outside of your site is not permitted. Different account packages may have different numbers of image credits included. Additional credits can be purchased from the Home page. Click the images tab (1) and then the Add Images (2) button. 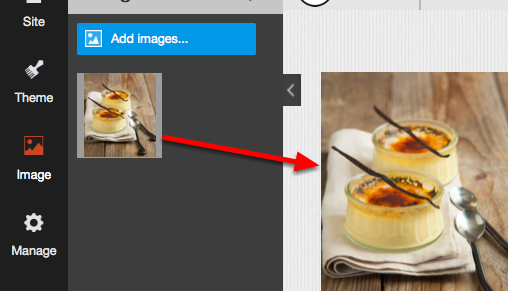 Click the Stock images (1) button. Click the Select (1) button to use this image. Click Back (2) to choose a different image. 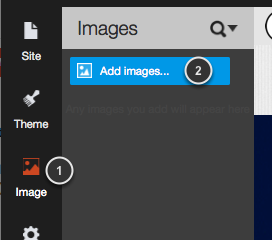 Important: When you click the select button you will use one of your image credits. This cannot be undone. Drag an image onto your page to use it.